The cold weather has us mostly indoors again and I've been trying to find some activities to do with the kids. I haven't been terribly crafty in that area lately. 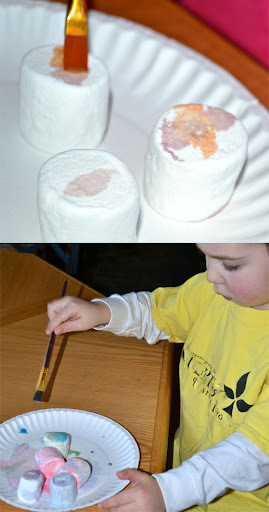 A quick search on Pinterest (it saves the day once again) and I found this cute idea for edible painting. Buddy doesn't love painting, so I wasn't sure how it would go over. It went amazingly well (his pre-school teacher will be impressed). 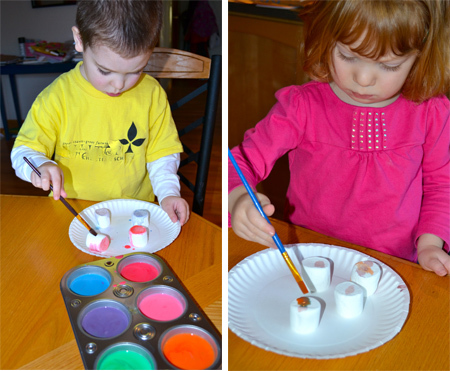 Both kids spent a lot of time painting their marshmallows and really enjoyed themselves. For the paint, I mixed milk and food coloring. 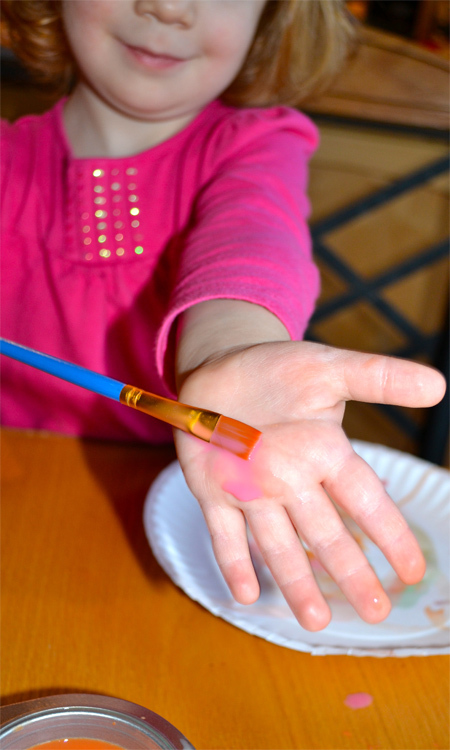 The "paint" was really thin, of course, but that didn't bother these artists. I love how both Buddy and Jellybean really experimented with the colors. 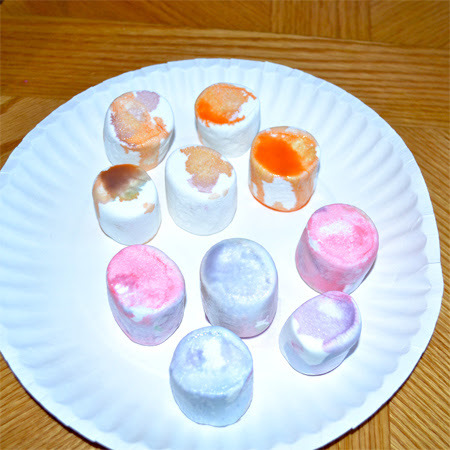 Once the marshmallows were completed, I placed them on a clean plate to dry and let the kids spend more time mixing the paint on their plates and then on some paper towels. That added another 15 minutes or so of creative play as well. The only disappointment was that they couldn't eat the marshmallows right away. I thought they might be a little less messy if they had a chance to dry. Yum, that looks like a lot of fun! It really was. Probably the most tasty kid project we've done.